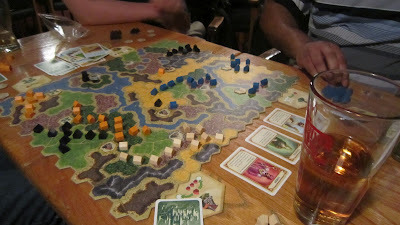 When I have free time from work and board gaming (very rare), I do enjoy playing video games as well. And the best video games I think I have ever played are the Uncharted series on the Playstation 3 system. If you've never heard of them, just imagine the pure cinematic joy of the Indiana Jones movies combined with the cocky attitude and humour of some Bruce Campbell films and you'll get the idea. In addition to that, the main protagonist in the series, Nathan Drake, is the most swoon-worthy pixellation ever to climb his way on to a console (yes, my name is Eric and I have a crush on a video game character). 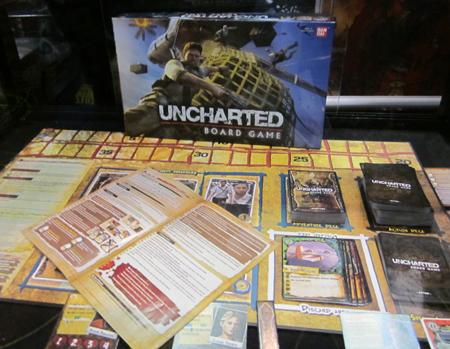 Seriously, though, the gameplay and puzzle-solving in all the Uncharted series is unparalleled and the writing and stories are top-notch. The games truly feel like cinematic experiences and are far better than most action flicks coming out nowadays. So now that I've read that Bandai is releasing a board game version, I can't help but be curious. I own the Resident Evil Deck-building Game, also from Bandai, and despite its level of chaos, it's very thematic, quite fun, and true to the video game. I'm excited to see what they do with my favourite series. Haven't posted in awhile due to time and other things. Kinda feel like I've been neglecting this here bloggy thingy. Part of this has been practicing for my driver's test (yes, my name is Eric, I'm 31 and I have no driver's license). 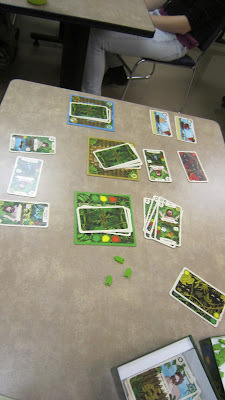 But I have gotten a little bit of game playing in and we tried out Last Will this past St. Patrick's Day. If you haven't heard, Last Will was one of the darlings of Essen 2011 and a release from Czech Games Editions and Rio Grande. 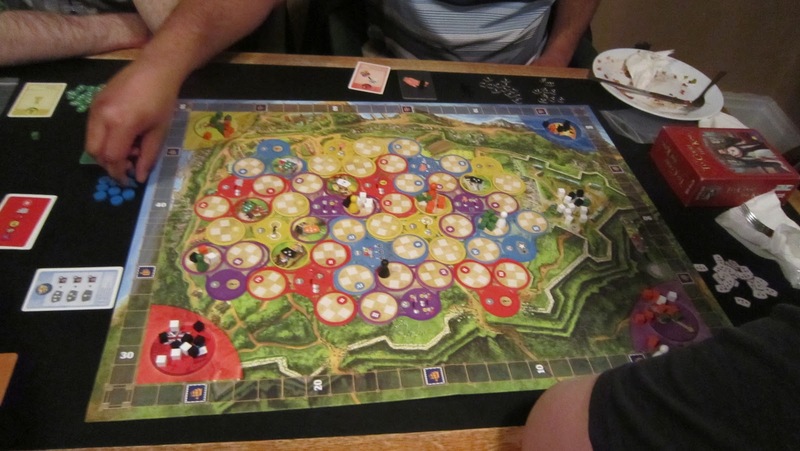 CGE is known for producing most of the Vlaada Chvatil games so they have a record of fun and beautifully produced yet extraordinarily complex games. 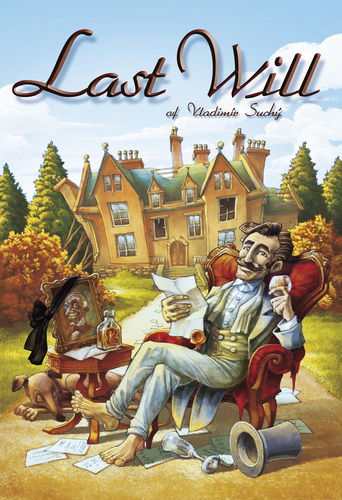 Last Will, designed by Vladimir Suchy, is quite an unusual bird in that the goal is to get rid of your money as fast as possible. Yes, it's a race to be the first to bankruptcy. Story goes that your rich uncle wants to leave all his wealth to the person who will enjoy it the most so you're all given a sum of money and you need to be the fastest to squander it all go into debt (Hmmm..... I should be REALLY good at this one!) 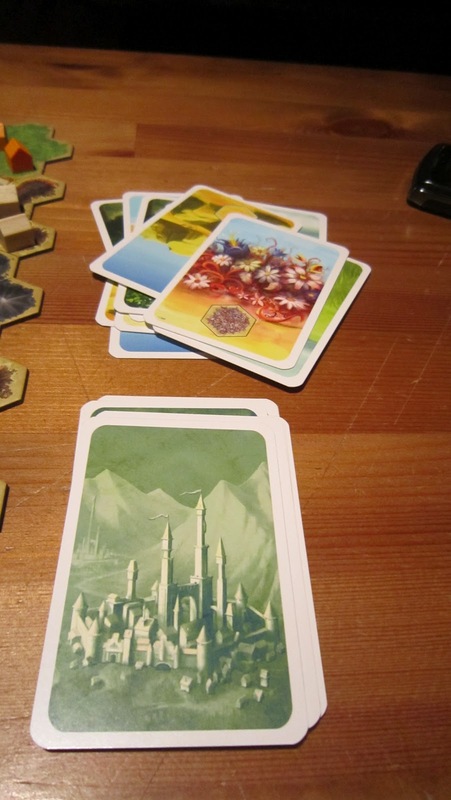 What it ends up being is a very cleverly constructed engine-building card game with some worker-placement and action selection. 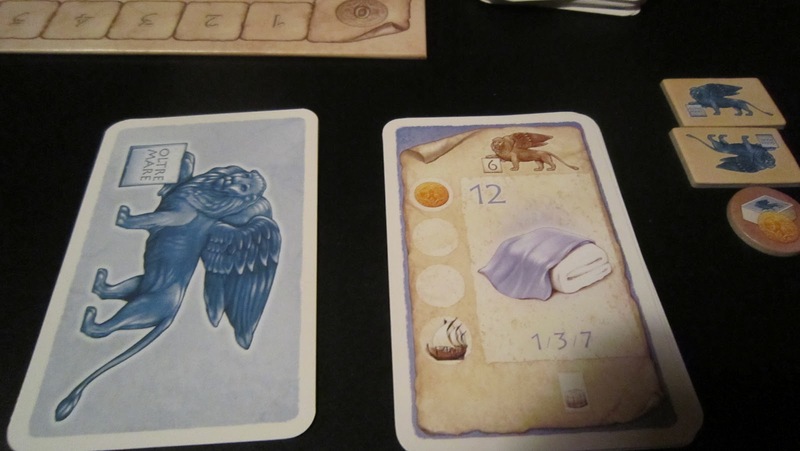 It's all rather more complex than I expected, not in a rules sense, but in the way the cards interact with each other and the symbology involved. And the theme is integrated quite well, I must say, as this game would be dry as a bone without the feeling that you're going on a wild spending spree. 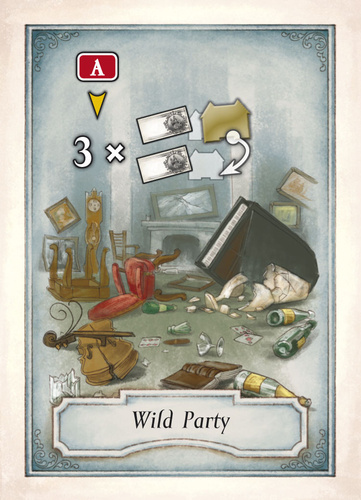 For example, one particularly powerful event card 'Wild Party' costs you an action to bring the value of one of your estate homes down three levels (get it? You party like crazy and destroy your mansion so you can sell it for cheap later). In the driest sense, you spend one action to decrease the marker on one of your cards by three but in play we were laughing out loud and scrambling to capture the card. 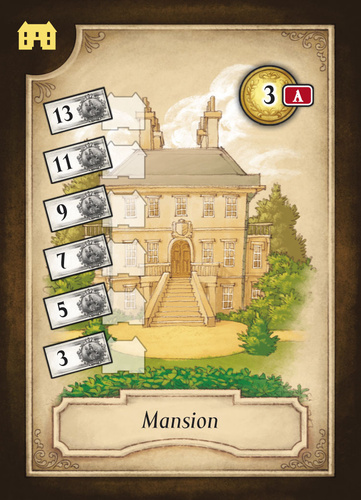 You see, the idea of buying and selling real estate with real expenses and hired help makes this game a fascinating experience, especially when you have to sell low to earn the LEAST amount of coin. 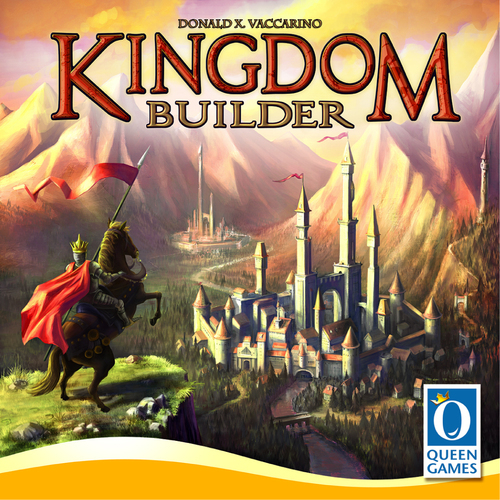 In fact, this is one of the most integrated themes I've seen since a game like Galaxy Trucker, yet another great CGE release. It's clear to me that this game has levels and nuances that we haven't even thought of after one round and yet it's all wrapped up in a really enjoyable package. 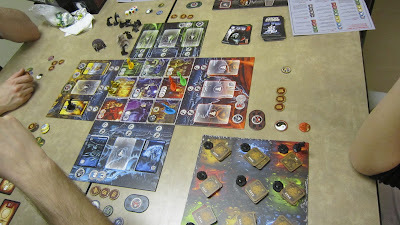 And now that I've played it once it should be a much easier experience explaining it to others. Definitely worth a look if you get the chance as spending tons of money has never been this challenging. At least not for me. Ha. 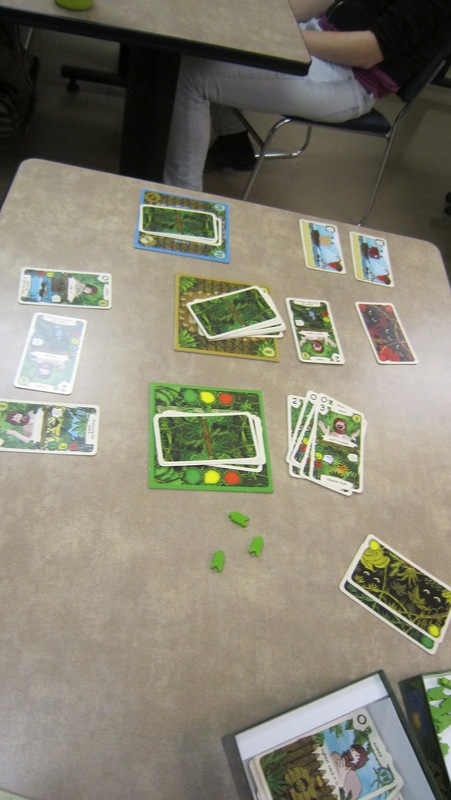 The classic trading game Bohnanza is a bit hit-or-miss for me. I recognize the genius of it but I find it rather long and exhausting and I tire of all the haggling about halfway through every game. And since the game really is nothing but haggling, well, there you go. 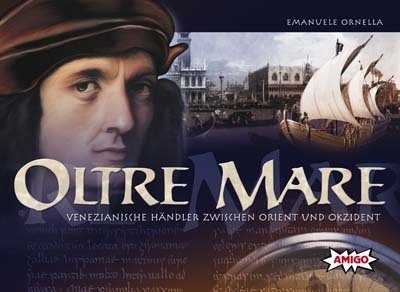 So I have been searching for awhile for Emanuele Ornella's Oltre Mare from 2004 as I had heard it was a bit like Bohnanza in terms of set collection but with a more fleshed-out game surrounding all the trading. ﻿And boy was I right! 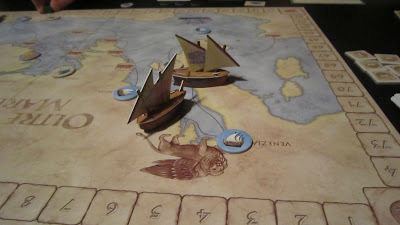 What an elegant and lively game. 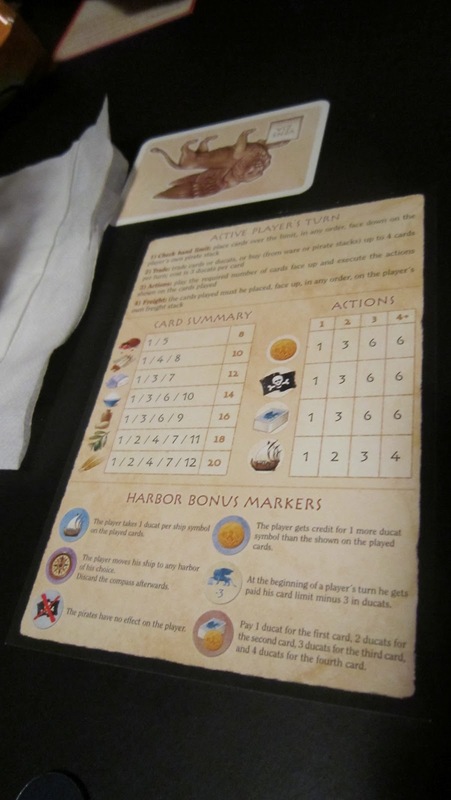 Oltre Mare combines the trading of the bean game with more hand management, a simple economy, and cleverly integrated action selection. And there is even a light memory element incorporated into the play that is reminiscent of one of my favourite card games, Mamma Mia. 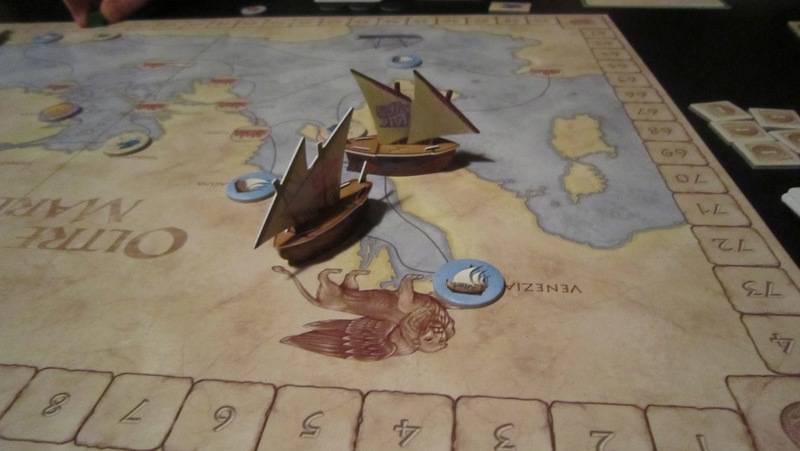 And okay, one could argue the gorgeous ships and board are superfluous to the gameplay but I think they add greatly to the theme of trading in the Mediterranean. I love this delight of a game and can't wait to play it again. It's not too deep but still thoughtful, fast-paced, and very interactive. I feel like this one will pair perfectly with bottle of fine Italian wine, some tapas, and a few very animated friends. Definitely glad I finally picked it up. 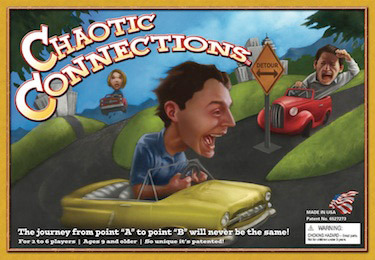 But Chaotic Connections, cleary inspired by TransAmerica, seemed like a silly enough mashup of that game and your classic card-based game Sorry. 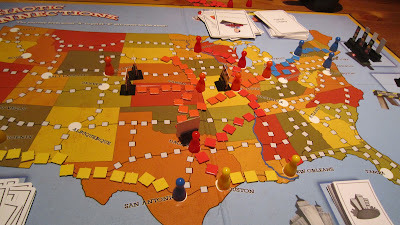 Now that I've played it, I can say it feels a bit more like the classic but dated game of chaos, Nuclear War. I must be honest right now and say that this game just isn't for me. But considering the outstanding success of something as god-awful boring and chaotic as Killer Bunnies (which really is just a bloated rip-off of Nuclear War), I think this game may be enjoyable for many. 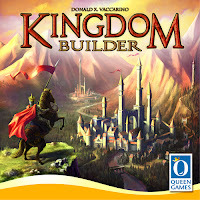 It's definitely a lot shorter and simpler than KB, which already makes me think it is a much better game. Before I discuss the gameplay, though, I really need to mention the main issue I have with the game and the thing that may just hold it back from getting a wider audience: the production values. To say this isn't your usual Days of Wonder production would be an understatement. The graphic design is not only very bland but it also works against the game. 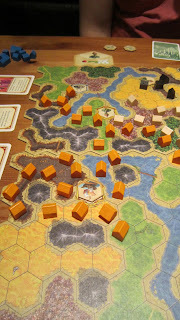 The square player chips don't actually fit on the spaces that well and we found ourselves rearranging them a bit mid-game to try and fit them all on a path between cities. The cards have no indication on them of where on the board the cities lie (unlike, say, TransAmerica or Ticket To Ride) so we searched a little at the beginning. Besides this, the cards are very, very cheap stock. 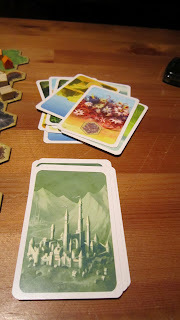 One of our city cards got a little wet in the first 5 minutes started to warp immediately. No glossy protection for you! The worst offenders, though, are the standup signs which get placed on the board to mark detours, road closed, and intersections. They come with some generic black stands (which don't fit) to hold them up but unfortunately they are printed only on one side. So unless you're all playing on one side of the table, half the people can't make out the signage. This could have so easily been fixed by either printing on both sides of the card stock or maybe offering a fold at the top so it would be folded into a two-sided piece. Then the game proceeds with players playing 1 of 4 cards from their hands every turn, some of the cards being a forced play if you have them. 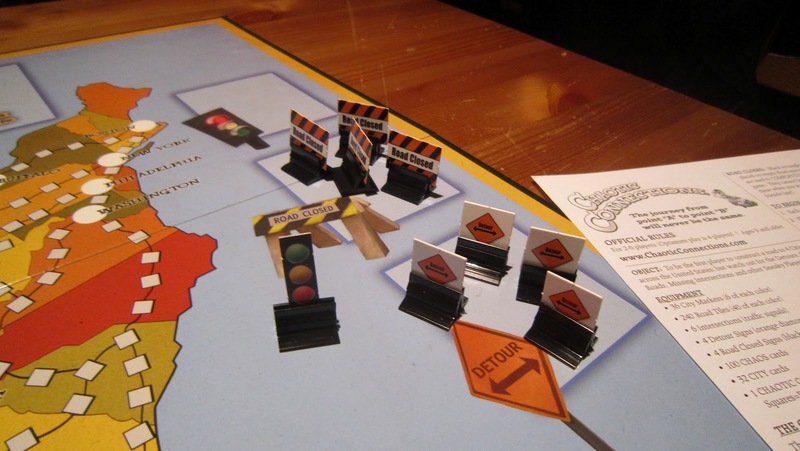 Cards allow players to add mileage markers (chips), take away opponent's markers, block routes temporarily or permanently, or even add or remove cities from a players goals. 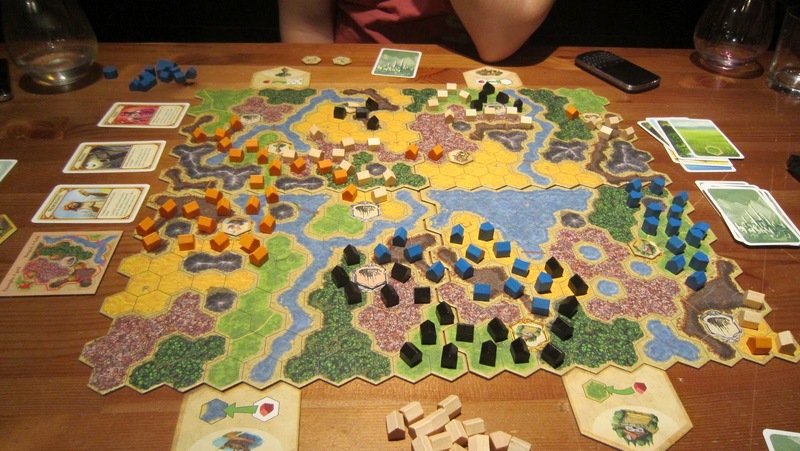 It's all quite random, and, well, yes, chaotic and players continue adding their chips and removing their opponent's until someone connects all their cities and wins. 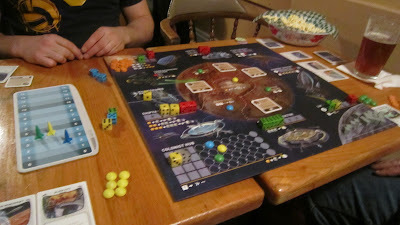 The game moves quite quickly and our games averaged 20-30 minutes. It is fairly clear to me that I am not the target audience for this game. The choices are very simple - "player A is going to win. 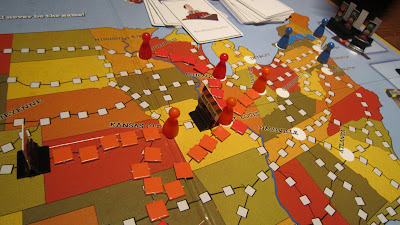 I should remove his markers", "I have add 300 and add 500 miles cards. I should play the add 500 miles", etc. 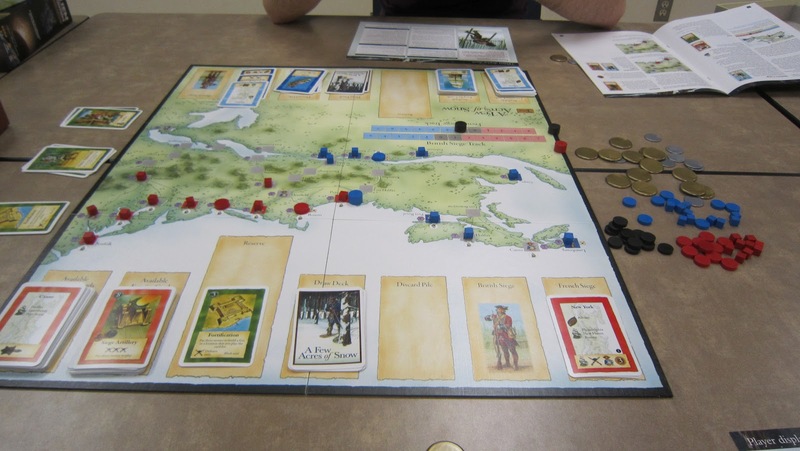 - but the board play is rather interesting. Connecting to someone else's network will get you further but also may help them with their goal. These are some great lessons for kids but a bit simplistic for adults. As well, the frustration of being randomly handed more cities to connect to while the player beside you gets to remove his is, well, chaotic. 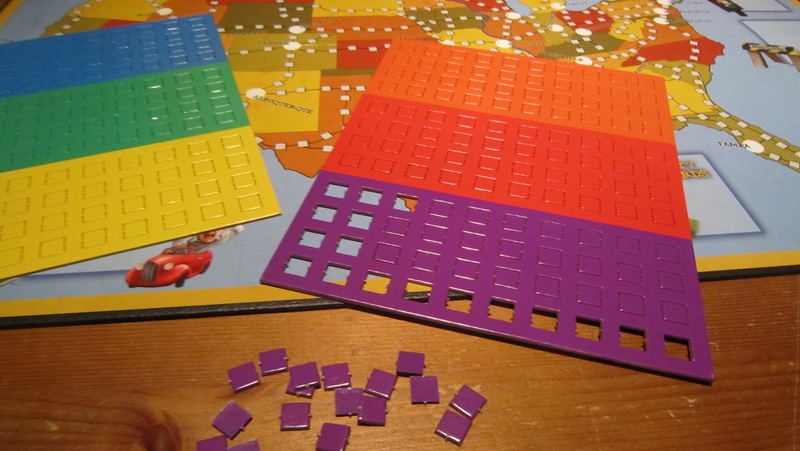 And having all your cities spread across the board while the other players manages to start his within 10 spaces of each other is also, well, chaotic. And to add 4 mileage markers and then have them removed by others before your next turn, and then add them again, and then have them removed, and then added again. And then you win! Well, that is pretty chaotic. I think you get the idea. One of the comments from another player is that this game could be house-ruled tons to make for a much better experience. 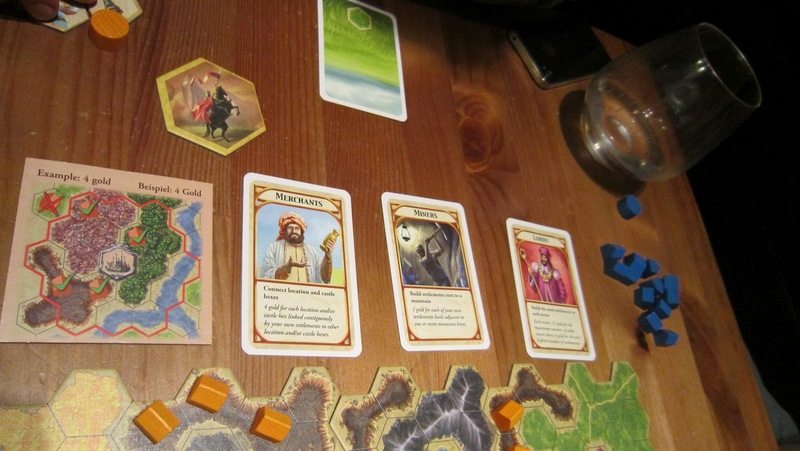 Other ways to determine cities would make for a much better game, I think. 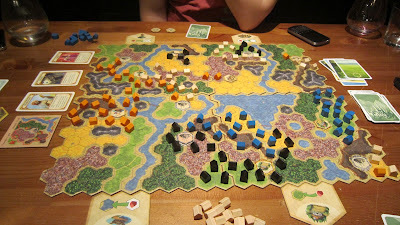 For example, you pick one of your cities and then the other players pick 3. That would make for a much better experience and a far more interesting game. In fact, it's something I think I'd like to try. 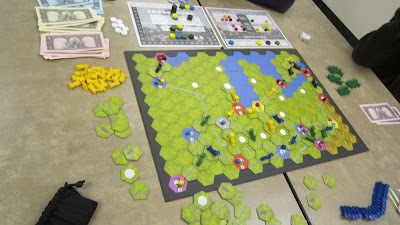 Still, the fact is the very similar and much better-produced TransAmerica offers a way more balanced approach to the game set-up and removes the chaos completely by not using cards and giving each player the same number of plays a turn. 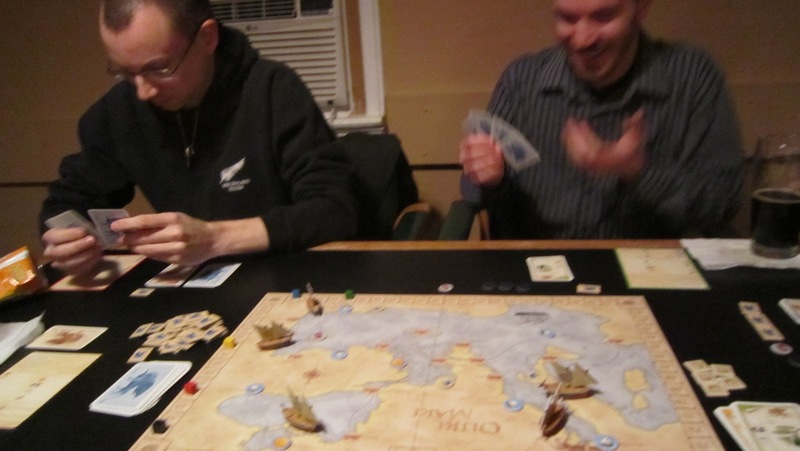 A game of TA is usually very close each time and offers much tougher decisions. But maybe that's not what you're looking for. Maybe you enjoy the randomness of a classic like Mille Bornes or the nasty take-that of Sorry and you think that would improve a game like Ticket To Ride or TransAmerica. Then I actually think you may enjoy Chaotic Connections. Hey, on the website they even advertise that a game could take 5 or 45 minutes. If that's okay by you, and you've got some young kids to play with, this could actually be a decent one. For my money, though, I prefer a much more balanced game - I like to feel like my decisions aren't entirely obvious each turn and that I have some semblance of control over whether I win or lose.